A World Youth Champion, a World Championship quarter-finalist, a big Darts star in the making, and one of the best walk-ons in the sport. 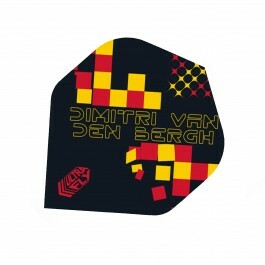 Meet Belgian Maestro Dimitri van den Bergh. The PDC Young Player of the Year for 2017 and destined for big things in the darts world over the next two decades. 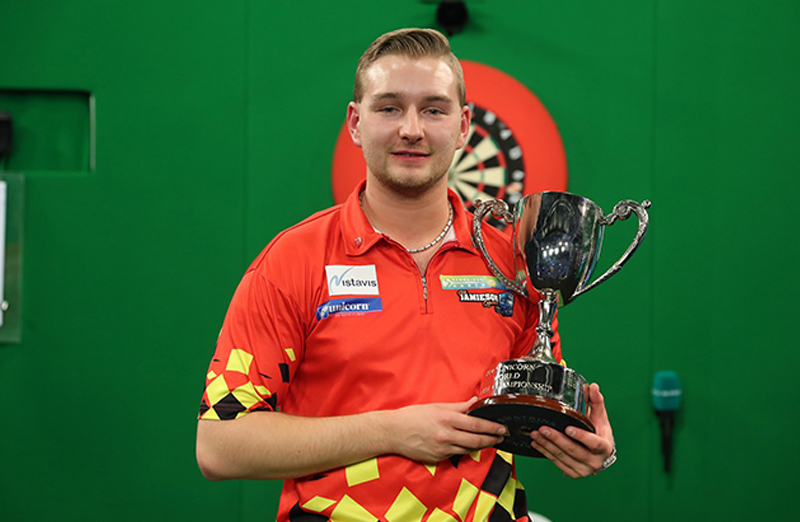 He came of age in the last quarter of 2017, making his mark and a call up to the darts’ prestigious World Series Tour is just reward for the talented youngster. 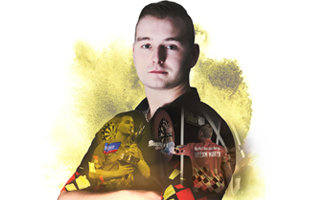 He is also on course to represent Belgium in the World Cup of Darts for the first time and Dimitri is targeting a place in the elite top 16 in the world. A place in the top 16 in the world in the next two years is a big aim for Dimitri. He believes the sky is the limit and who are we to argue?! He was crowned the PDC Unicorn World Youth Champion with a blistering victory over Josh Payne, having just missed out in 2016 when he lost in the semi-finals to eventual winner Corey Cadby. 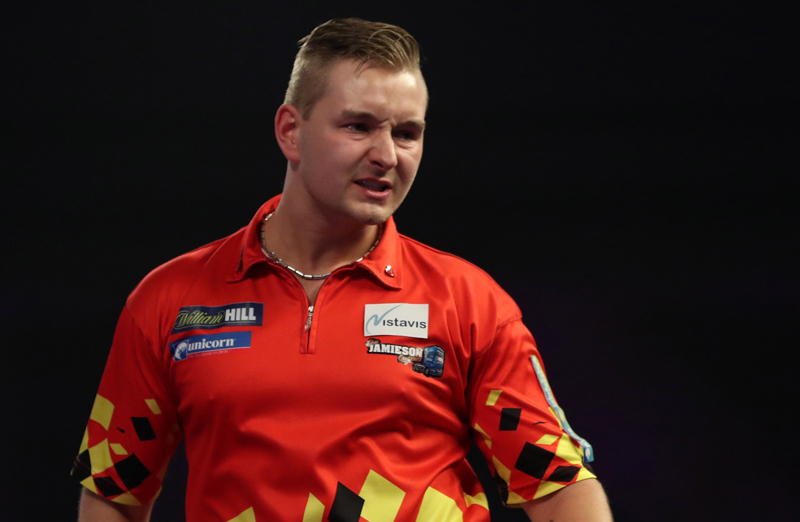 Just before his World Youth success, Van den Bergh raced through to the quarter-finals of the World Series Finals in Glasgow as he completed impressive wins over Michael Smith and Raymond van Barneveld before losing to James Wade. Then came a sensational run at the 2018 World Championship. If there were any doubts about his credentials to hit the big-time and compete at the very highest level for many years to come, Dimitri dispelled them at the Alexandra Palace. He was too good for Stephen Bunting and Jan Dekker. 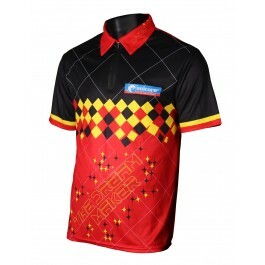 Then came a fabulous display as the young Belgian thrashed Mensur Suljovic 4-0. He was then involved in one of the matches of the tournament in the quarter-finals. 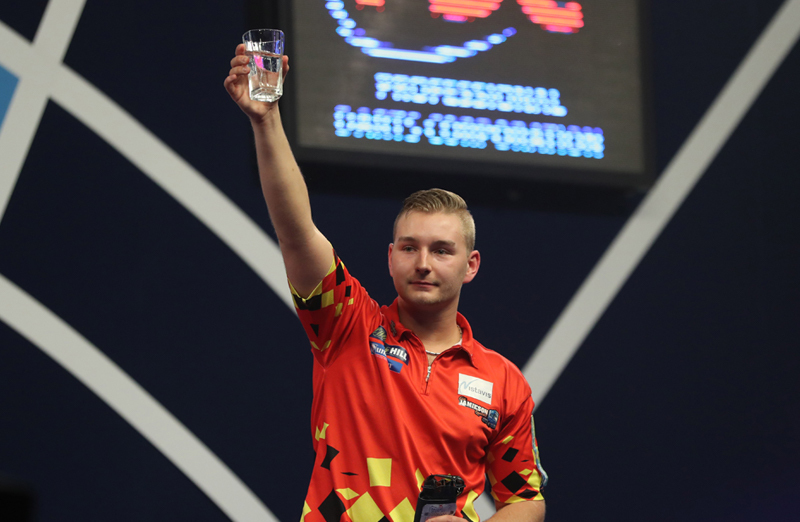 Van den Bergh came from four sets to one down to make it four apiece against Rob Cross, producing some stunning darts, hitting nine 180s in three sets! In a nail-biting deciding set Dimitri took the opening leg to go ahead for the very first time. He then missed D16 for a 132 finish and in the end, missed doubles cost him a semi-final spot. He missed three darts at D16 and then in the next leg he blew four darts at D12 and D6 to allow Cross to squeeze through in a thriller. 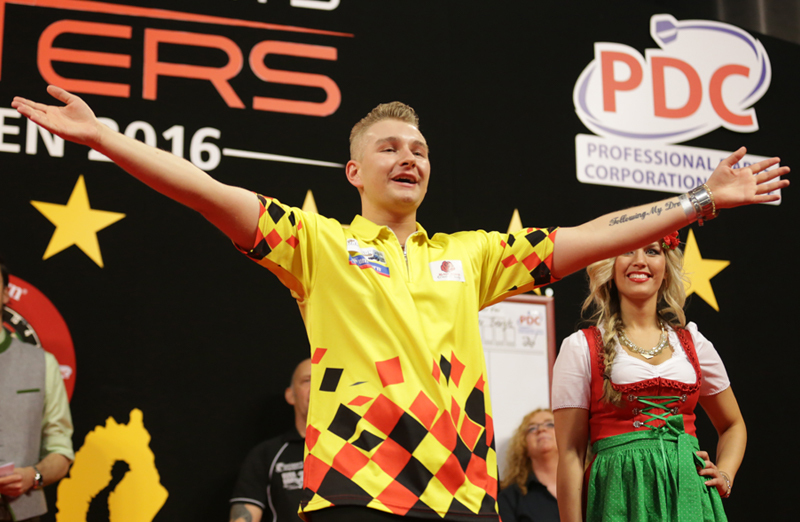 Of course the rest is history as Cross went on to be crowned World Champion, but Van den Bergh had announced himself very loudly on the world stage. He was in the mix for the 2018 Premier League and PDC Chairman Barry Hearn revealed the Belgian ace would his get his big chance in the prestigious World Series. 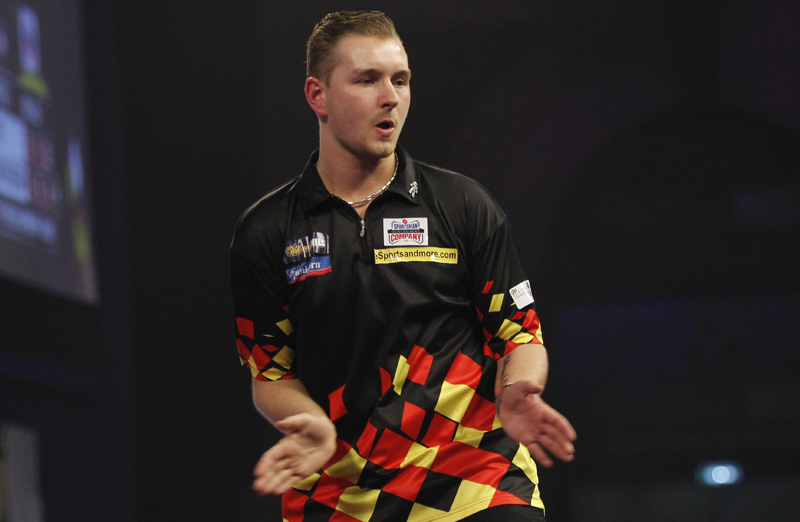 He served his apprenticeship on the PDC Unicorn Development Tour where he impressively won nine tournaments. His walk-ons are already the stuff of darting legend! ‘Dancing Dimitri’ wows the crowds as he hits the stage to ‘Happy’ by Pharrell Williams and that sums up the young man....happy and talented in his chosen sport. Dazzling Dimitri does it again!